Description: An application to help you manage Picasa Web Albums. quality. All image formats for which Datatype or Reggae class exist are supported. directory, user can invoke WAManager for selected album contents (Album Manager->Export option). (no source directory can be selected in this mode). ALBUM - name of album (case insensitive) from storage file. group will be used as a source. - Album download and synchronization (both to local directory and Picasa album). 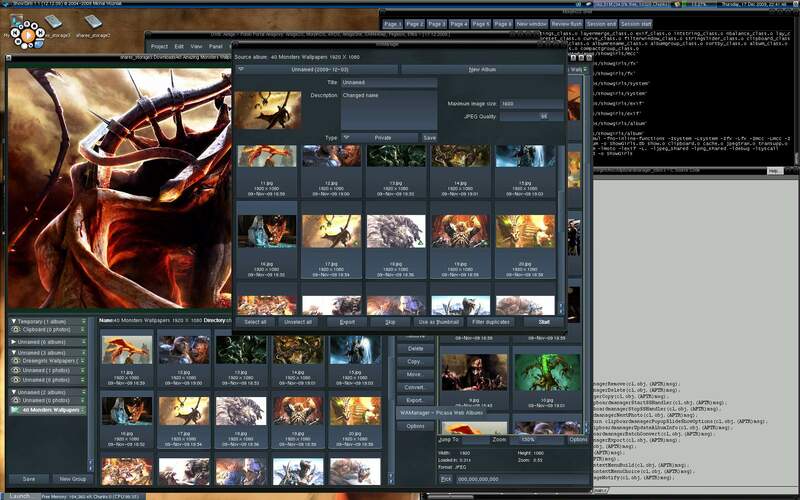 MorphOS 2.4 and some free memory for image thumbnails and resampled images. SCEW and Expat libraries are used for XML handling. CURL/OpenSSL libraries is used for network protocol handling. You can also find me on irc.freenode.net on #morphos channel.